After losing their Big Ten opener Friday night to Northwestern, the Maryland Terrapins bounced back to win Saturday and Sunday to capture a victory in their first conference series of the year. Now, they play the fourth of seven straight home games Tuesday when they play host to the William & Mary Tribe. This is the second meeting of the year between Maryland (14-14) and William & Mary (10-18). 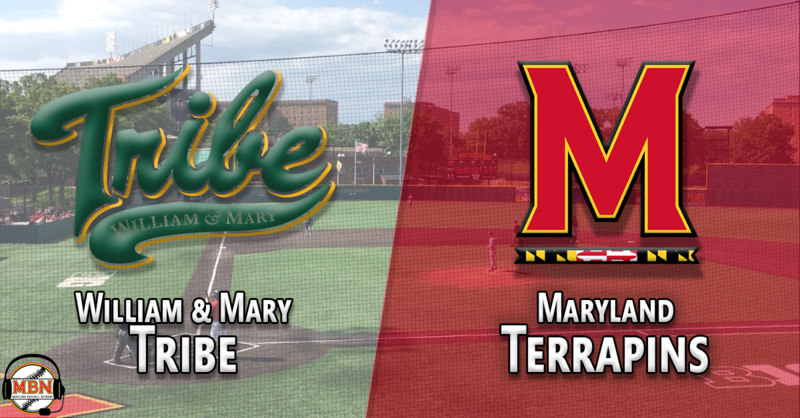 The Terps traveled to Williamsburg on February 21 in their first midweek contest of the year, falling to the Tribe 10-4. The Maryland bats were largely quiet in that contest, collecting just four hits, although Zach Jancarski went deep twice. Maryland has had an up-and-down season, rattling off both five-game winning and losing streaks in the first 28 contests. The Terps have not been able to replicate their home success from a year ago, going 7-6 at Bob “Turtle” Smith Stadium this season, but they have won four of their last six in College Park, and will look to continue that trend Tuesday. Junior second baseman Nick Dunn has lived up to the Preseason Third-Team All-American hype, leading the team in most offensive categories, including batting average (.340), slugging (.612), home runs (7) and RBIs (21). His seven homers eclipse his career total of six he posted in his first two years at Maryland. Kevin Biondic, who hit the go-ahead two-run homer in the eighth inning of Sunday’s win, ranks second on the team with three homers and 19 RBIs. Continuing to break out of his early slump, Marty Costes collected two hits in Sunday’s contest to raise his average back up to .218. The junior outfielder is also tied with Zach Jancarski with a team-best six stolen bases. On the mound, Maryland has struggled at times, allowing over 5.5 runs per game this season. Weekend starters Taylor Bloom, Tyler Blohm and Hunter Parsons have pitched well for the most part, with just a couple blemishes on each pitcher’s record this spring. In addition to being a powerful bat in the middle of the lineup, Biondic has been the Terps’ best arm out of the bullpen, pitching to an 0.68 ERA, with two saves, 15 strikeouts and four walks in 13.1 innings. Right-hander John Murphy also has two saves and a 2.77 ERA in 10 appearances spanning 13 innings. Mike Vasturia has made nine appearances (eight in relief), tossing 12.2 innings with a 2.13 ERA. Outside of these three arms, however, the Terps’ bullpen has struggled, with no other pitcher posting an ERA under six. While the Terps have won four of their last six contests, the Tribe have struggled of late, dropping two straight and five of their last seven. They won the series opener, 7-3, at home against UNC Wilmington Friday night but couldn’t muster any more offense for the rest of the weekend, scoring just four runs combined on Saturday and Sunday. The William & Mary offense has been anemic for most of the season, hitting .215 with a .580 team OPS while averaging less than four runs per game. Zach Pearson has been one of the few bright spots offensively for the Tribe, leading the team with a .300 average and .333 on-base percentage. The junior infielder collected multiple hits in two of three games over the weekend, and is the only Tribe regular hitting over .250 for the year. 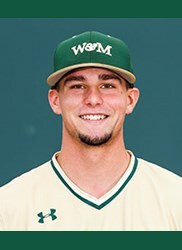 Hunter Smith provides the pop for William & Mary, leading the team with five homers, 20 RBIs and a .420 slugging percentage, albeit posting a low .241 average. The junior backstop went deep in the Tribe’s most recent contest Sunday against UNC Wilmington. The William & Mary bats have struggled mightily, but the arms have kept the team competitive at times. Two of the three weekend starters – Bodie Sheehan and Chris Farrell – have sub-3.20 ERAs, and the four Tribe relievers with at least ten appearances have all pitched well. Sophomore right-hander Wade Strain leads the team with 14 appearances, 23.1 relief innings and a 1.93 ERA. He has been able to minimize damage, posting a 1.34 WHIP but allowing just five runs in his appearances this season. Right-hander Michael Toner has whiffed 27 in 21.1 innings of relief work with a 2.95 ERA, and Charlie Fletcher and Andrew Burnick both have sub-4 ERAs in 25 combined appearances out of the bullpen. Junior right-hander Nick Butts will take the mound for William & Mary Tuesday afternoon. A two-way player, Butts has made nine appearances (four starts) on the mound while hitting .162 in 37 at-bats as an infielder. Butts got the start for the Tribe in the last meeting between these two teams on February 21, surrendering one run – a Zach Jancarski solo shot – over two innings before turning things over to the bullpen. He hasn’t lasted more than 2.1 innings in any of his starts, but has pitched well in his last two starts, tossing four combined scoreless innings between the two. Butts has strikeout stuff, whiffing 20 in 18.1 innings of work, but is prone to allowing baserunners, with a .278 opponents’ average and 1.42 WHIP. Freshman Mark DiLuia gets the ball once again for Maryland on Tuesday. The right-hander has made five midweek starts this season (seven total appearances) with mixed results. He lasted just three innings in his most recent start, last Tuesday at Richmond, allowing two runs on three hits while striking out two and walking one. While he didn’t bring his best stuff, he kept the Terps in the game before the bullpen let things get out of hand in a 10-3 setback. 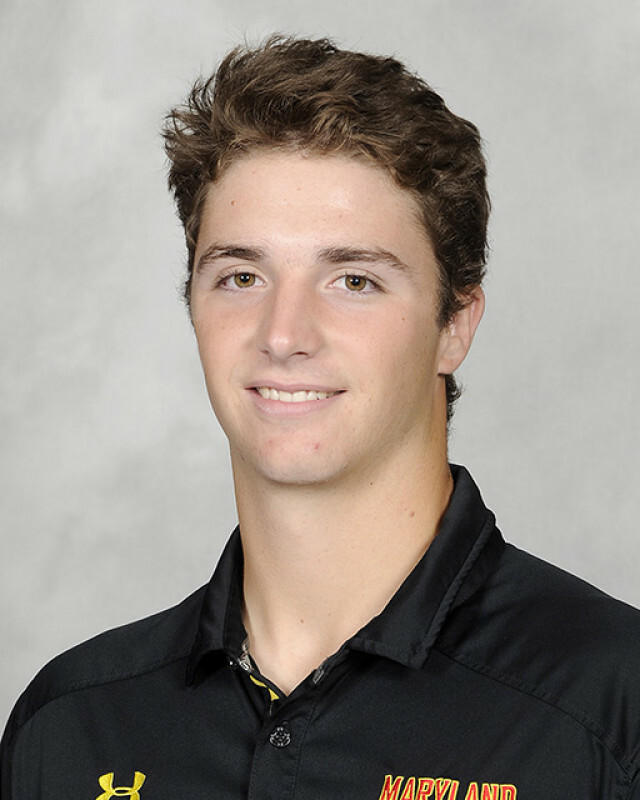 DiLuia, one of three Maryland freshmen drafted out of high school last June, has electric stuff, evidenced by nearly one strikeout per inning this season (22 strikeouts in 25 frames). However, he has also been hit hard, surrendering 40 hits in those 25 innings with a .360 opponents’ average.